It's no secret that a lot of comedy comes from coping — we make jokes to take some of the teeth out of the political situation, we make fun of our idiosyncrasies, and at times we use humor to deal with profound loss. That last point is the place that Glen Tickle's current comedy tour is coming from. 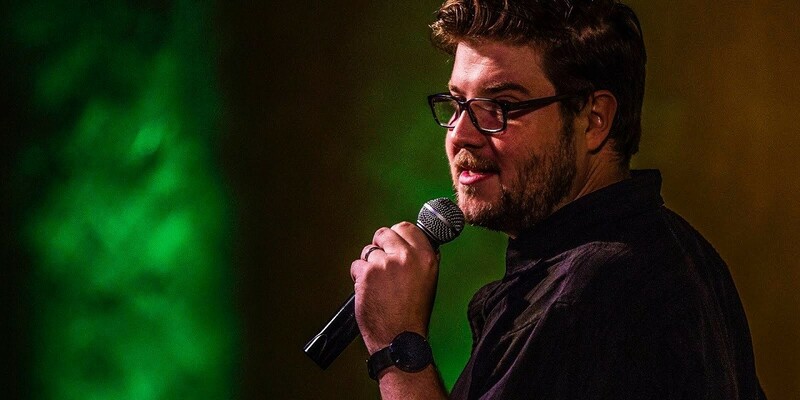 The New Jersey-based comedian will bring his act, "Good Grief: A Comedy About Loss and Being Bad at It," to Rochester this week. Tickle's act relates finding humor in cremation, making funeral arrangements, and the stupid things people say to you when someone you love dies. Glen Tickle will perform his stand up act, "Good Grief: A Comedy About Loss and Being Bad at It," at Photo City Improv (543 Atlantic Avenue) on Sunday, October 14, at 8 p.m. Tickets are $10 in advance and $15 at the door, and can be purchased through glentickle.com/tour.